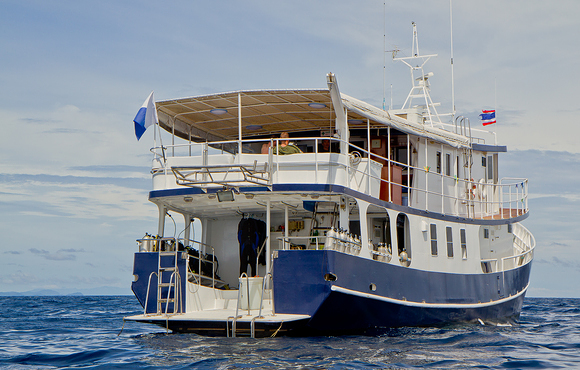 Saturday we dive the scuba diving sites of Raya Noi Island, a paradise island away from the big dive crowds. 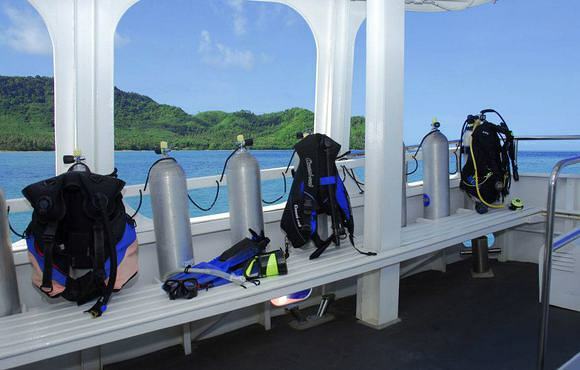 Excellent diving & snorkeling spots which makes it a perfect destination for Scuba Divers & Snorkellers alike. 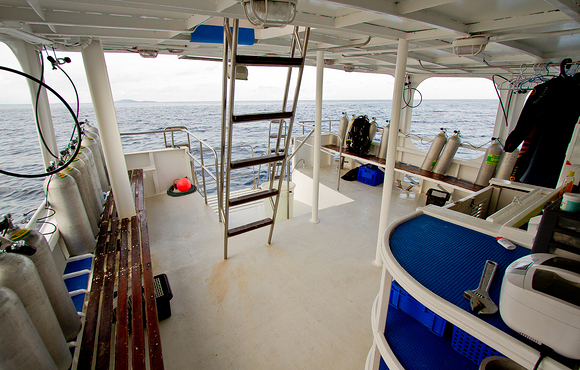 Sunday we dive the best spots around Phi Phi Island including Bida Nok & Bida Nai. 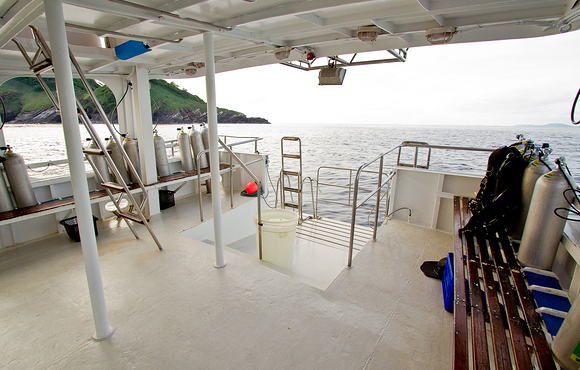 Also here it' s a paradise for Divers & Snorkelers. 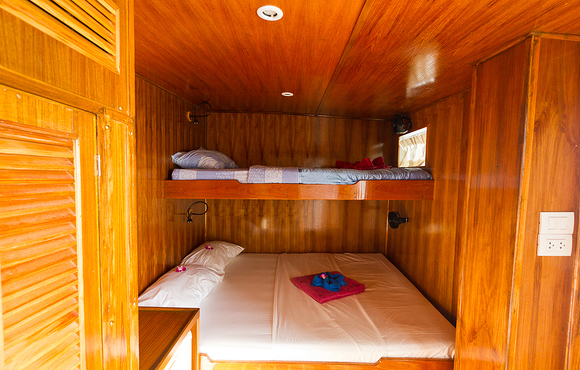 During the day we visit the famous Maya Bay and in the evening you have time to explore Phi Phi Island by night at Ton Sai Village. 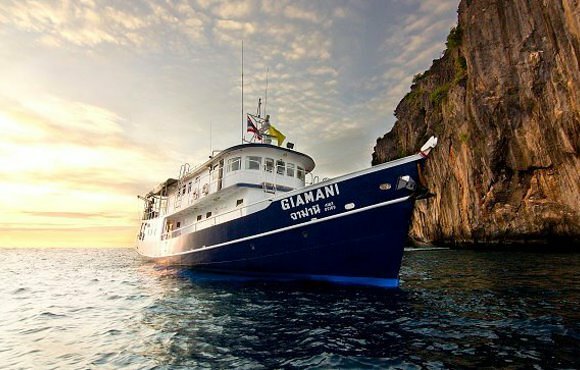 Departure every Friday evening from Chalong Bay, Phuket. 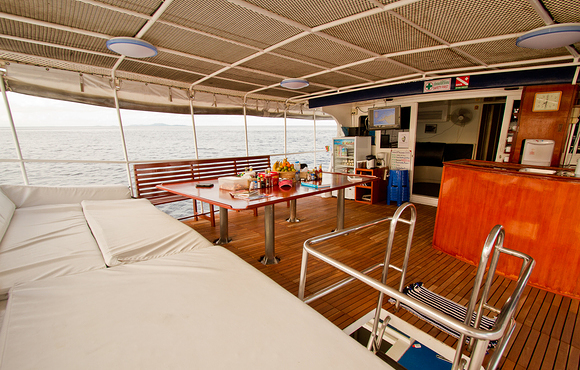 Monday morning you will be back in Phuket Island and we transfer you back to your hotel or direct to the airport. 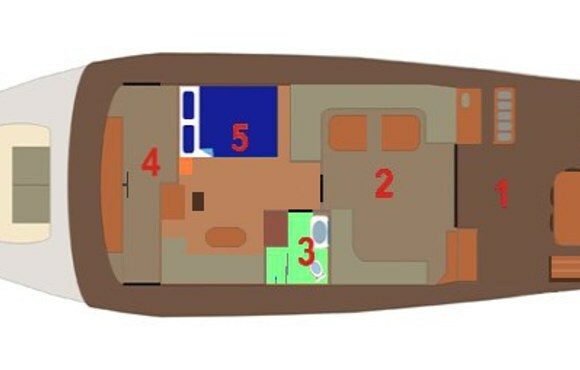 You will stay in one of the four (4) Deluxe cabins on the main deck. 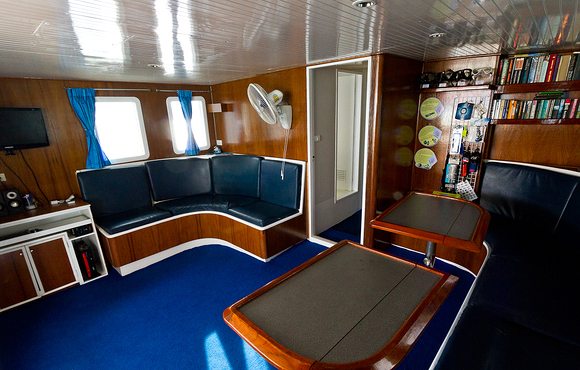 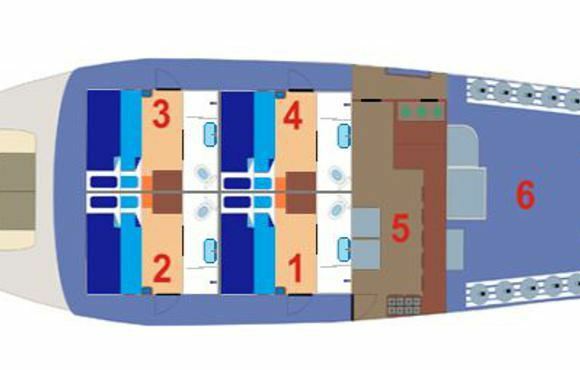 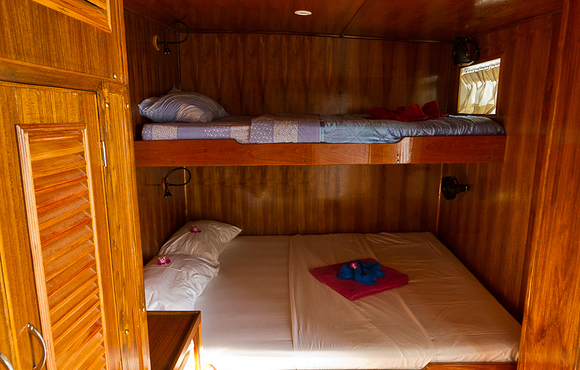 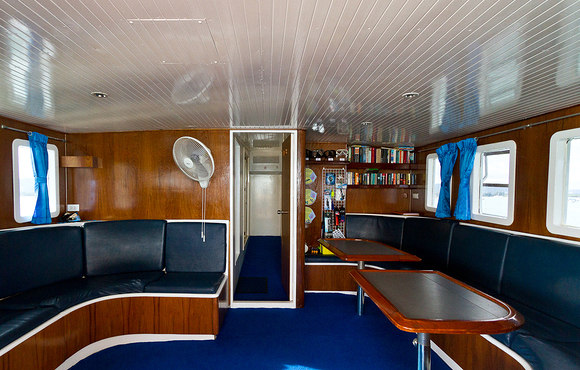 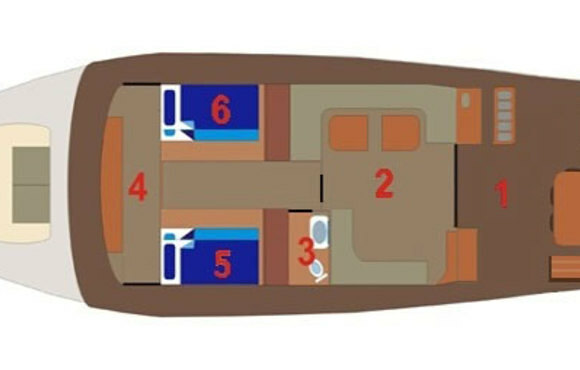 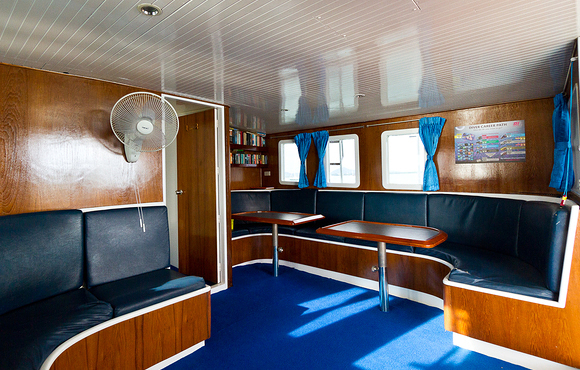 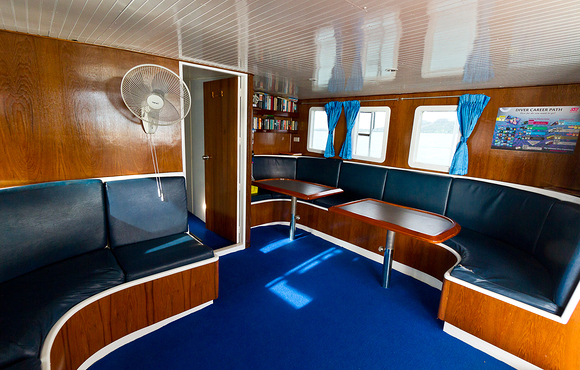 Each cabin has three single berths, these cabins can also be booked by 2 people that do not wish to share with a third diver. 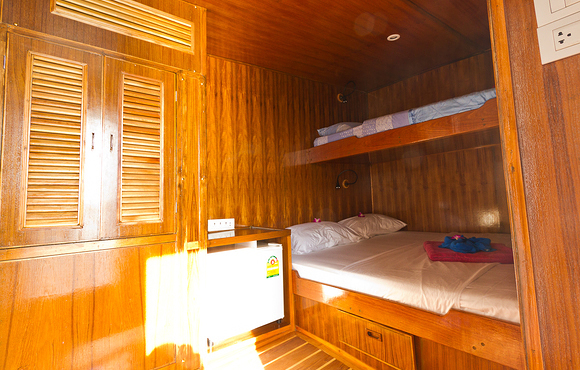 Each deluxe cabin has it own air conditioning unit, en suite bathroom and the cabin door opens to spectacular sea views. 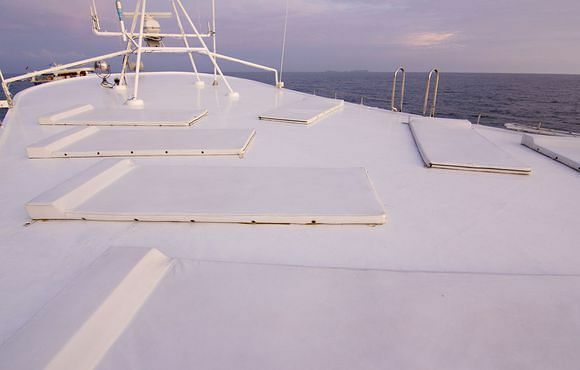 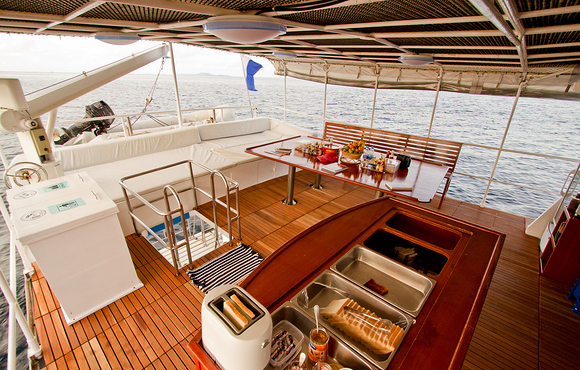 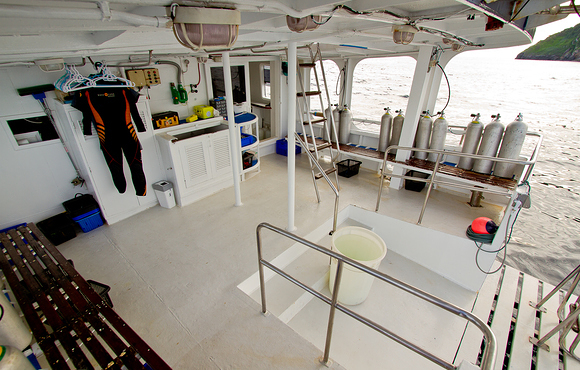 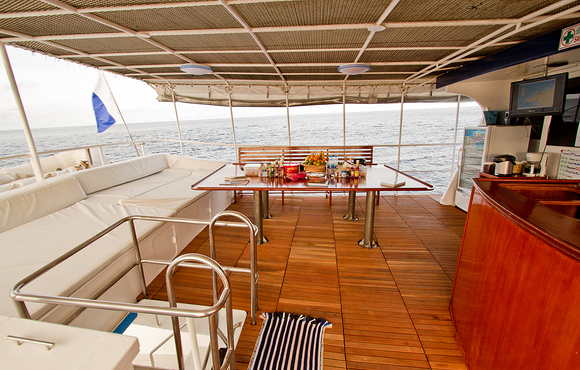 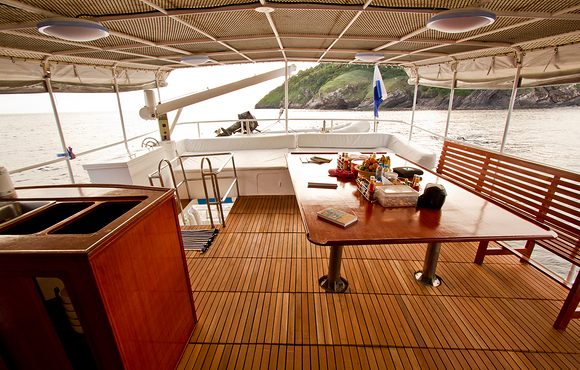 The dive deck is quite spacious equipped with camera tables and rinse tanks making this an ideal boat for serious photographers. 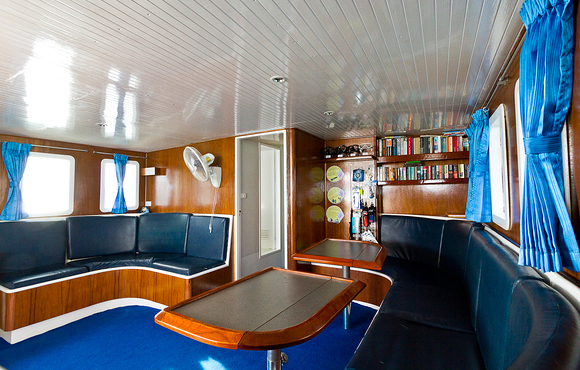 Onboard you will also find a comfortable cushioned lounge are and an excellent ice making making, great for those are dive cocktails! 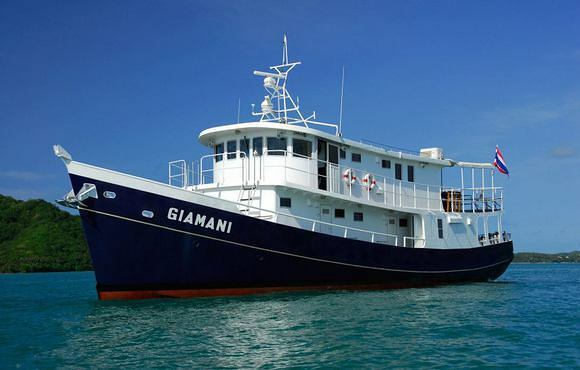 Colona Liveaboards specialise in liveaboards to the Similan Islands, Thailand and to the Mergui Archipelago in Burma, some of the most prestigious diving destinations in South East Asia.